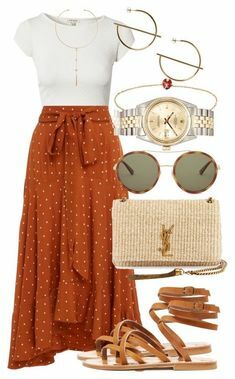 If you want to see more outfit ideas, be sure to visit my “Modest Spring Outfits” on Pinterest! Which outfit is your favorite? Where do you like to shop for modest clothes? Do you have a Pinterest board with modest spring outfits inspiration? Just leave a comment with the link! 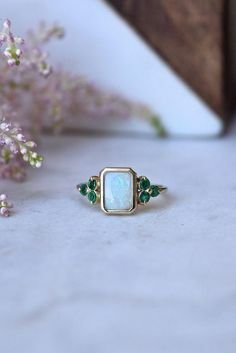 I would love to check it out! Have a blessed Monday my friends…. and a joyful week ahead! I’m not a skirt wearer very often. Occasionally in the summer for church but not often. Just not my thing. But I really love that red one! I totally agree with you, when Spring comes I am ready for new clothes and bright colors! 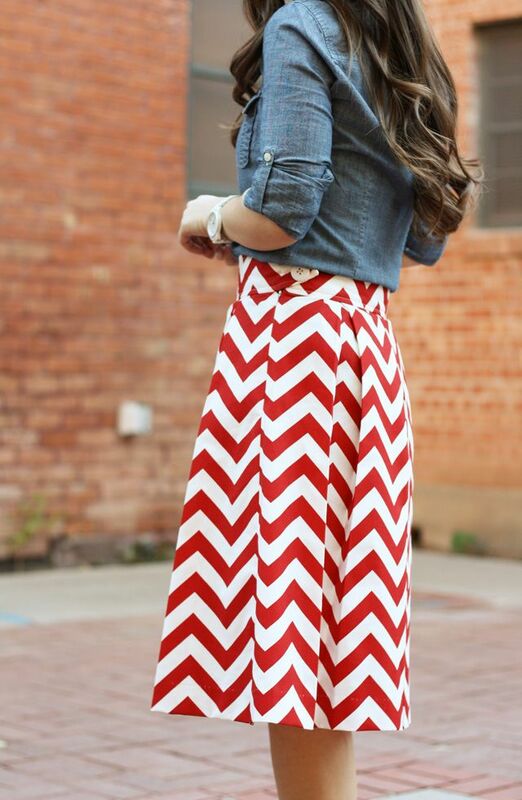 I’ve pinned some of the same exact pins, love the patterns on the outfits you shared. I blogged a fashion post recently about transitioning from winter to spring, it’s tough getting in those cute colors and patterns while still being warm enough. Love, love these super cute outfits. The melon/yellow and green outfits are springy but aren’t over the top. The red/dotted and denim outfits are my favorite though-I just love denim and when you pair it with red, to me, it is perfect !!! Thanks for sharing. I love the outfits you picked and made! I especially like the last two! I love them all! I am a big fan of skirts and vintage skirts and dresses. I love the ones with red in them too. 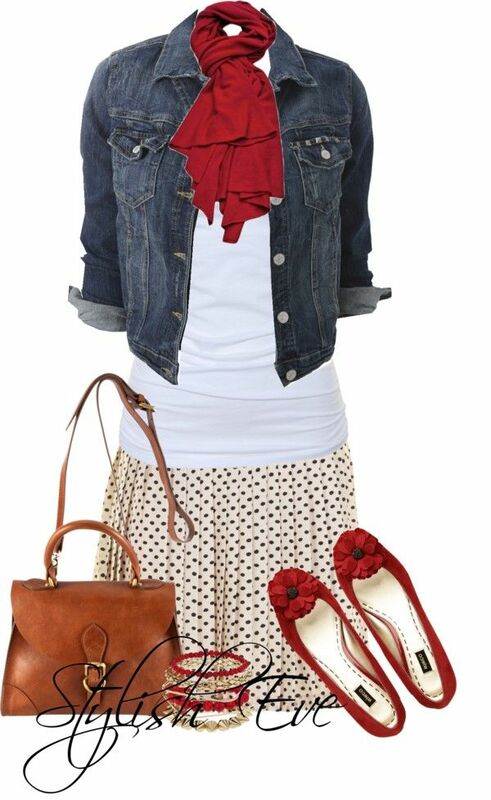 Cute roundup of modest Spring outfits. Thank you! Oh they are all cute but the third outfit is my favorite but with a longer skirt. I shop at thrift stores for modest clothing’s but I am partial to the J. Jill brand and April Cornell when I find them. Thank you for sharing on the Art of Home-Making Mondays this week! Hi Marie! Oh they are all cute but the third outfit is my favorite but with a longer skirt. I shop at thrift stores for modest clothing’s but I am partial to the J. Jill brand and April Cornell when I find them. Thank you for sharing on the Art of Home-Making Mondays this week! Hi Marie! I found you over at the Grace & Truth link up. I love the outfits you’ve chosen for Spring. Even though I am MUCH older than you they are outfits I would wear also because of their modesty.